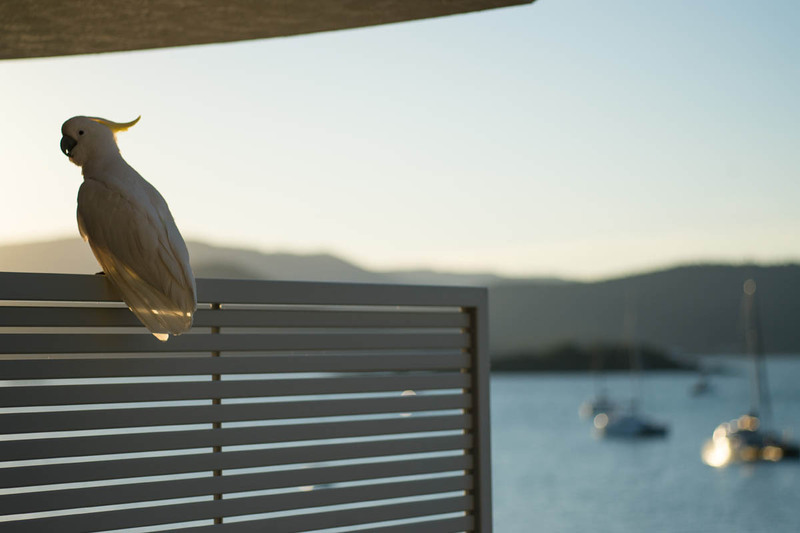 Our picturesque Marina Shores accommodation features indulgent fully self contained serviced (optional) luxury penthouses and holiday apartments in Airlie Beach. 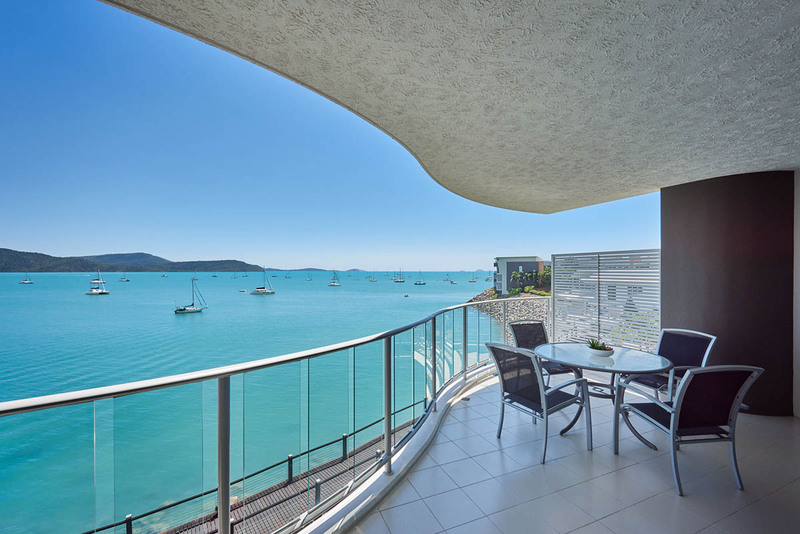 With views overlooking Abell Point Marina and the Whitsunday Islands, this is certainly a new standard of fashionable accommodation in Airlie Beach. 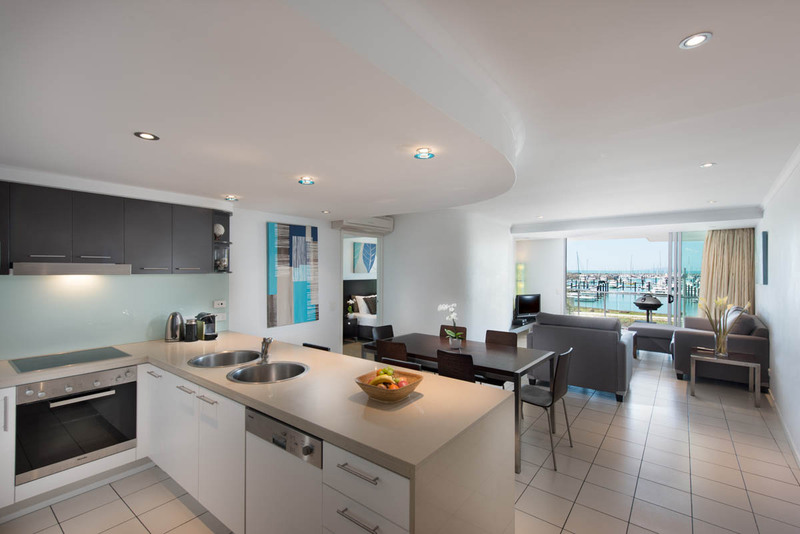 Designed by renowned Ken Down Architects, Marina Shores has been designed to be totally different in space, light and colour with vogue interiors, spacious decks and state of the art themed lighting. 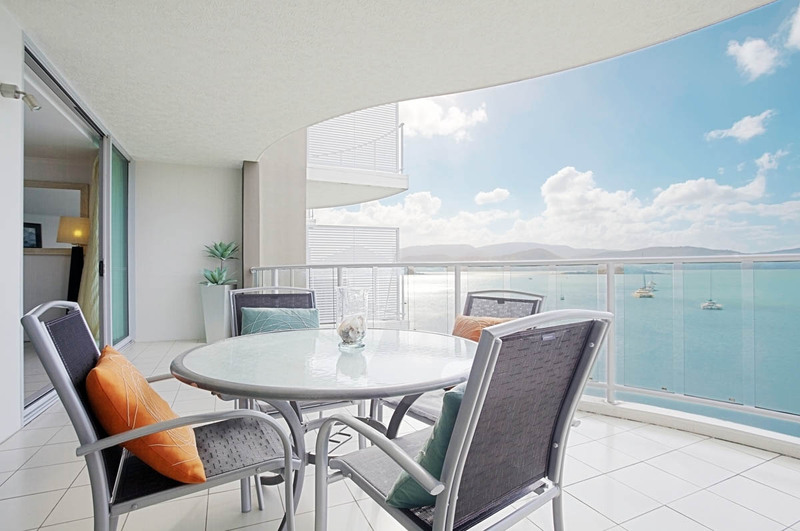 So you can relax in sophisticated style as you take in the spectacular views from your Airlie Beach accommodation. 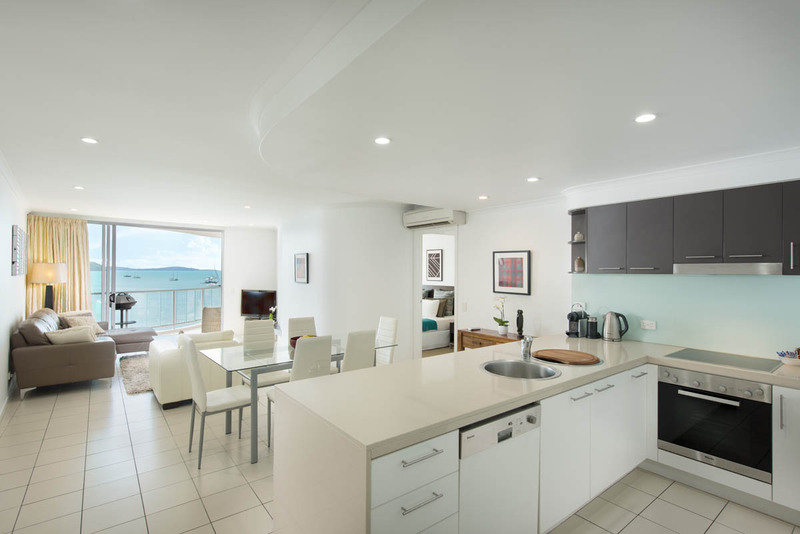 As one of the most well-appointed Whitsundays hotels, the accommodation is comprised of 1, 2, 3 bedroom Airlie Beach apartments and penthouses. 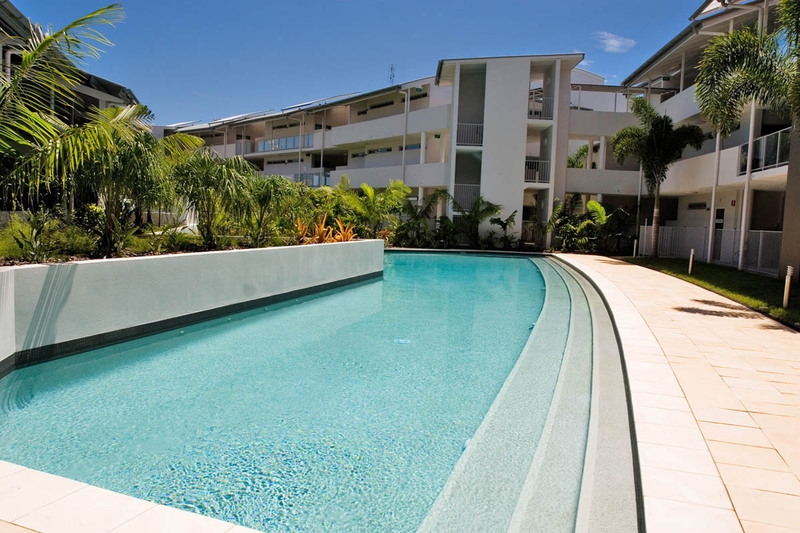 It boasts a dramatic 30 metre pool and tropically landscaped gardens. 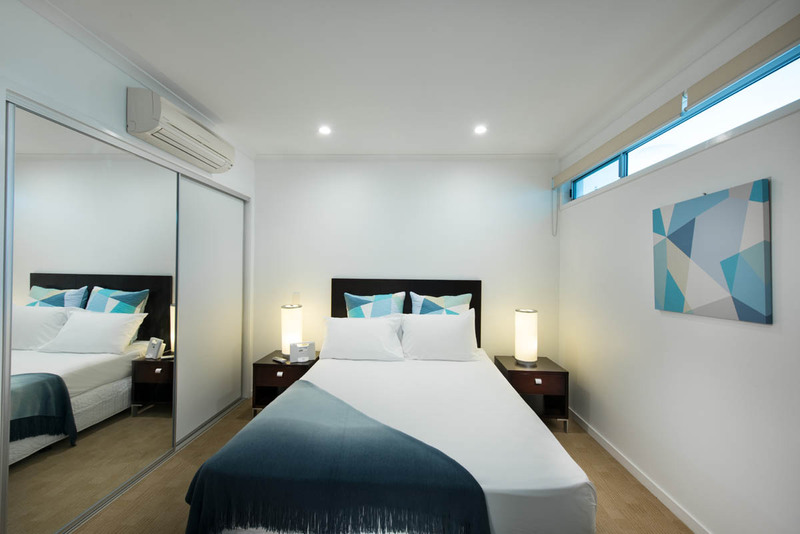 Located just steps from Marina Shores is the popular bicentennial boardwalk. 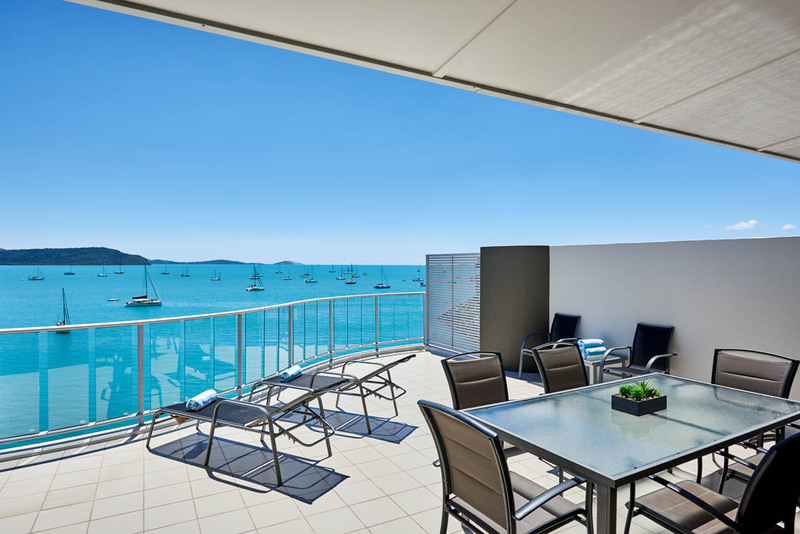 Just a five minute stroll along the boardwalk is Abell Point Marina where many of the main operators depart for tours and attractions out to the Great Barrier Reef with snorkelling and scuba diving activities, Whitehaven Beach, sailing, and the Whitsunday Islands. 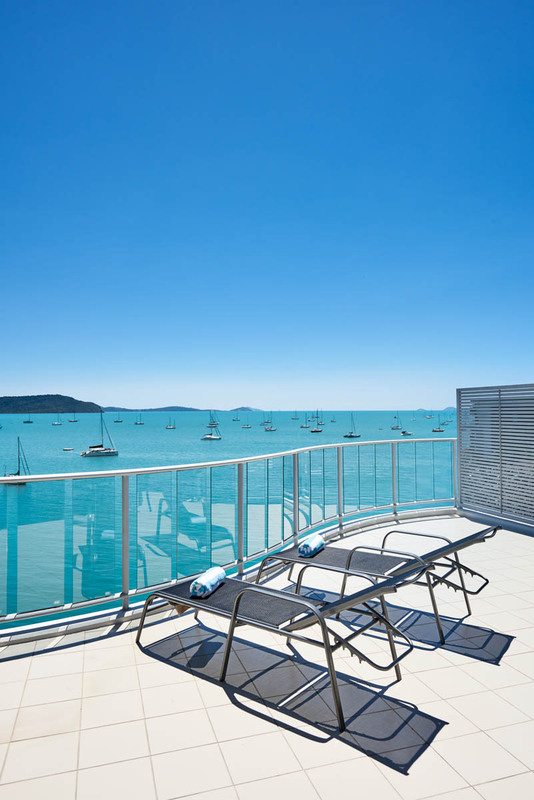 Further along the boardwalk is the village of Airlie Beach, famous for its restaurants, bars, nightlife and shopping. 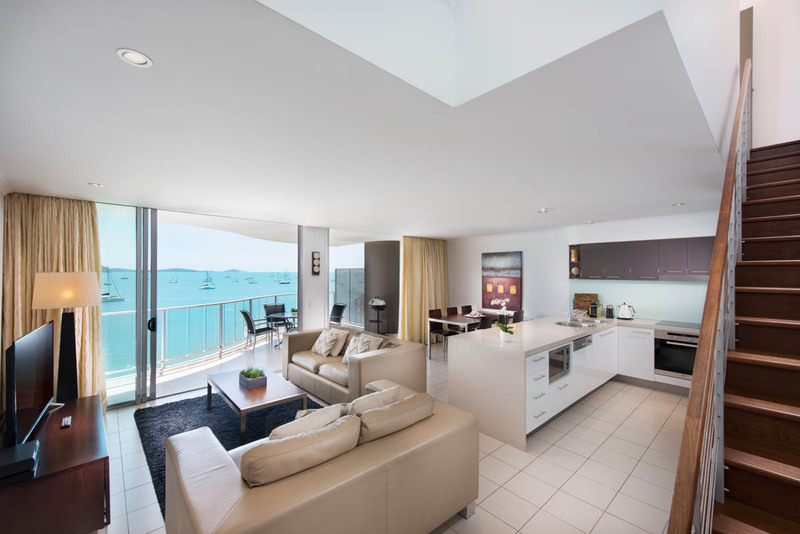 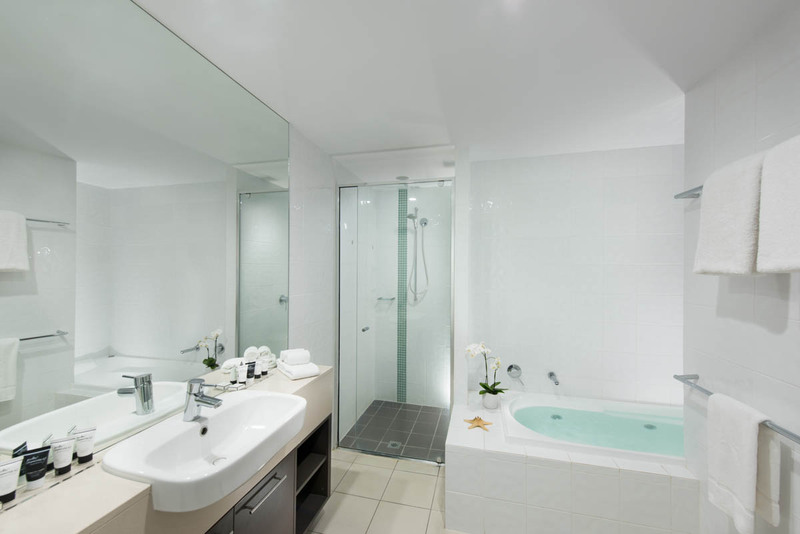 So sit back, relax, and soak in the sights in one of the most luxurious accommodation in the Whitsundays. 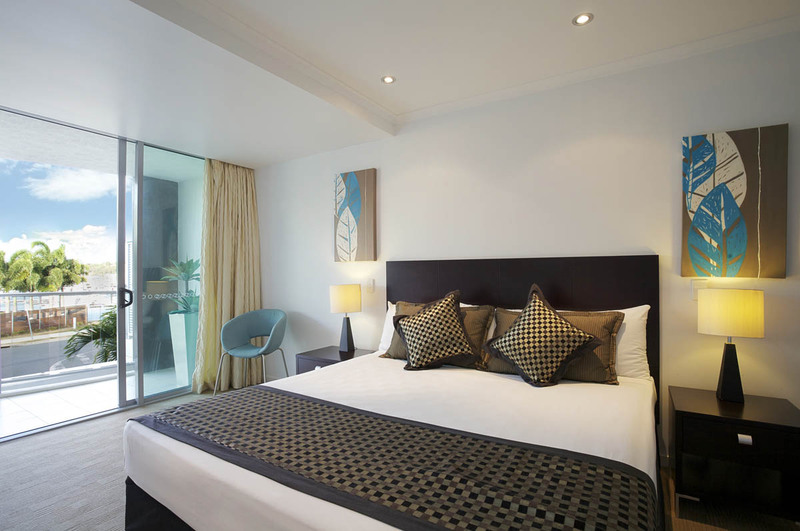 A wedding and honeymoon like no other!